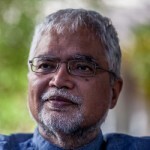 Mukesh Kapila, CBE is Professor of Global Health and Humanitarian Affairs at the University of Manchester. He is also Special Representative of the Aegis Trust for the prevention of crimes against humanity, and Chair of Minority Rights Group International. Professor Kapila has extensive experience in the policy and practice of international development, humanitarian affairs, human rights and diplomacy, with particular expertise in tackling crimes against humanity, disaster and conflict management, and in global public health. His memoir “Against a Tide of Evil”, published in 2013, was nominated for the Best Nonfiction Book of that year.